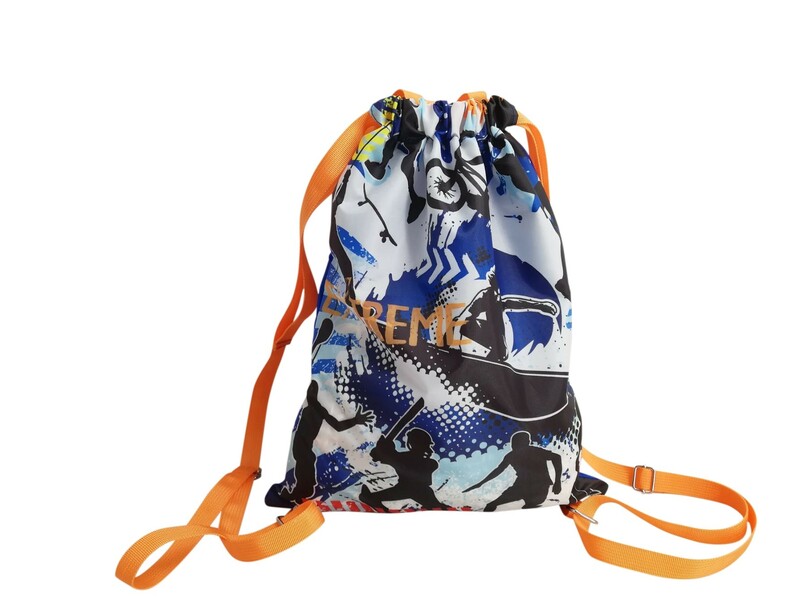 Super kool drawstring bag with a difference. 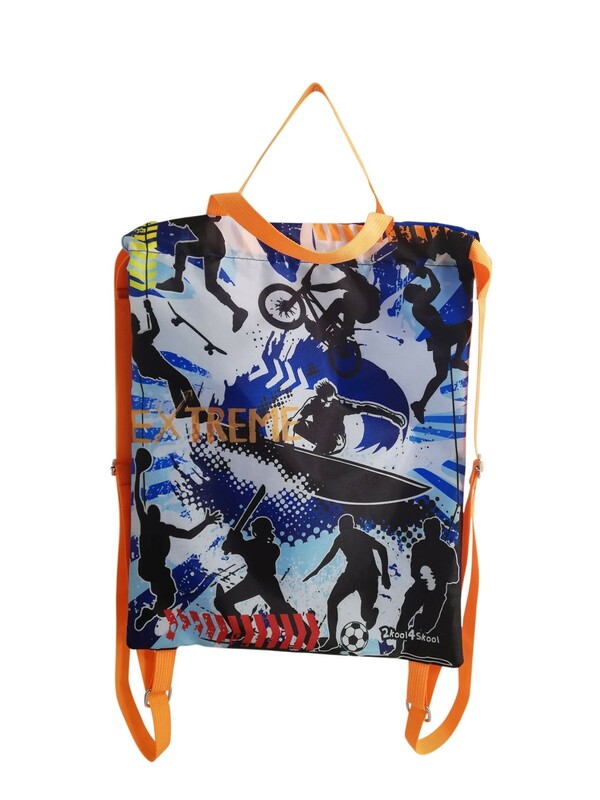 Use as a backpack or flat as a library bag. 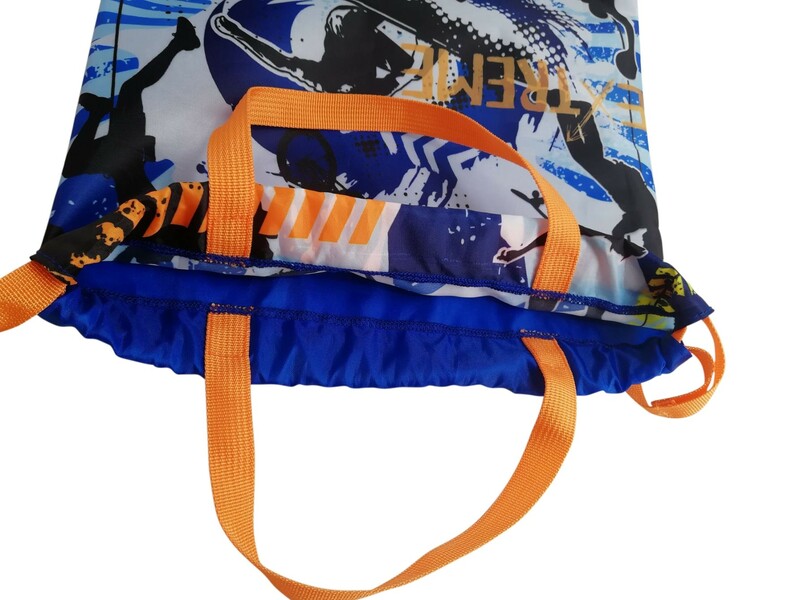 Drawstring bag with a difference. 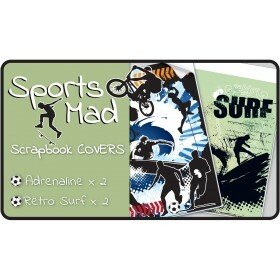 Use as a library bag, swimming bag, sports bag or cool casual backpack. 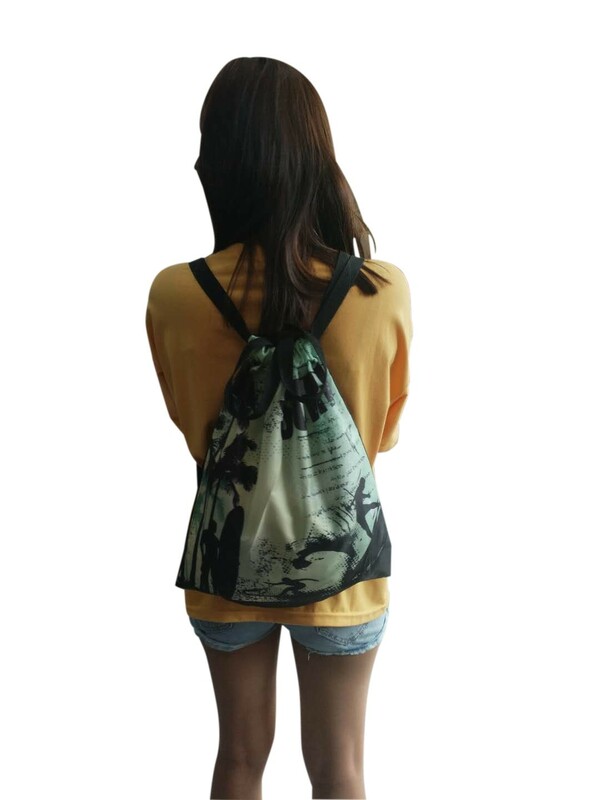 Use flat with the handles or the cool shoulder straps as a backpack. 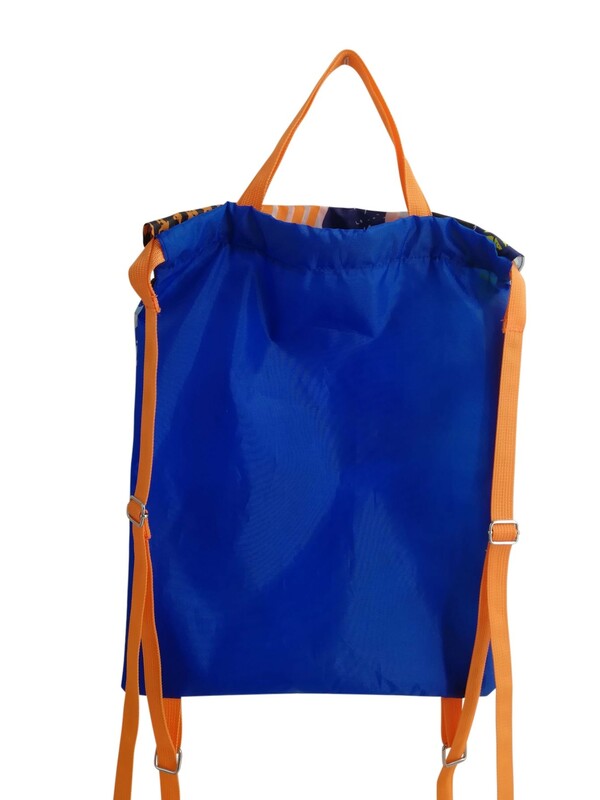 Bag measures 32cm wide and 42cm tall.